Hello my lovelies! It is "the day that shall not be named" again. I hope you're doing better than me because I have exams coming up and lots to study. I will try to post as much as time allows it this week, but Monday Blues posts are always my priority and I cannot miss them. So today we have a beauty I picked up while I was in London in the summer. I saved it for now because it's more of a fall color, but gorgeous nonetheless. Why So Blue is one of the newer H&M polishes I believe, because I haven't seen it on blogs before I saw it in the shop. I had to pick it up however because it's a gorgeous color, and it has that dusty fall vibe to it. Plus the shimmer was gorgeous in the bottle. Unfortunately, it didn't translate so well on the nails. The color of this polish is very interesting. It's a darker blue that actually borders on teal. It's close to the Color Club I showed you last week, but is still more blue. It's filled with a beautiful light blue shimmer that is less evident on the nail, because the polish is too dark for it to shine through. The shimmer is also very very small, so it's only visible if you look closer and in good light. It's a shame because the idea behind the polish is amazing. The formula of this polish was very good actually. I'm always accustomed with H&M polishes being very thick, but this wasn't. Does this mean they decided to finally fix their formula? This actually went on smooth and was opaque in 2 coats. I'm not really sure about the durability because I wore it the day I built my Helmer and it chipped terribly. I do think that even in these circumstances it should have held up better, but I guess I'll have to see the next time I wear it. This is an awesome blue!! Perfect for fall. Sorry about the lack of shimmer on the nail :(. All the best with your upcoming exams! 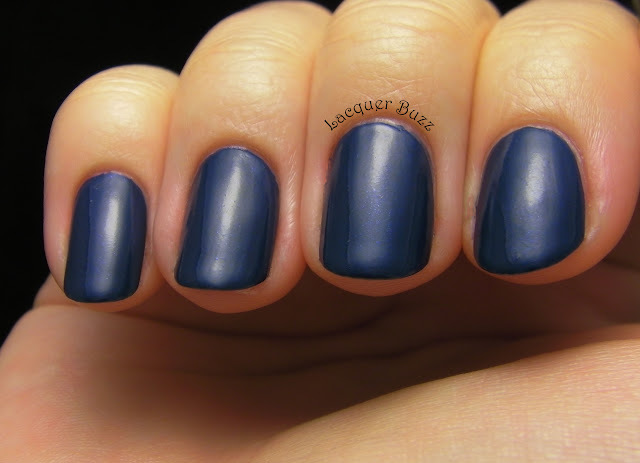 Like these great shades of deep blue that don't turn so deep they look black...however i am not a fan of the rubber look this has without addition of the shinny clear top coat. 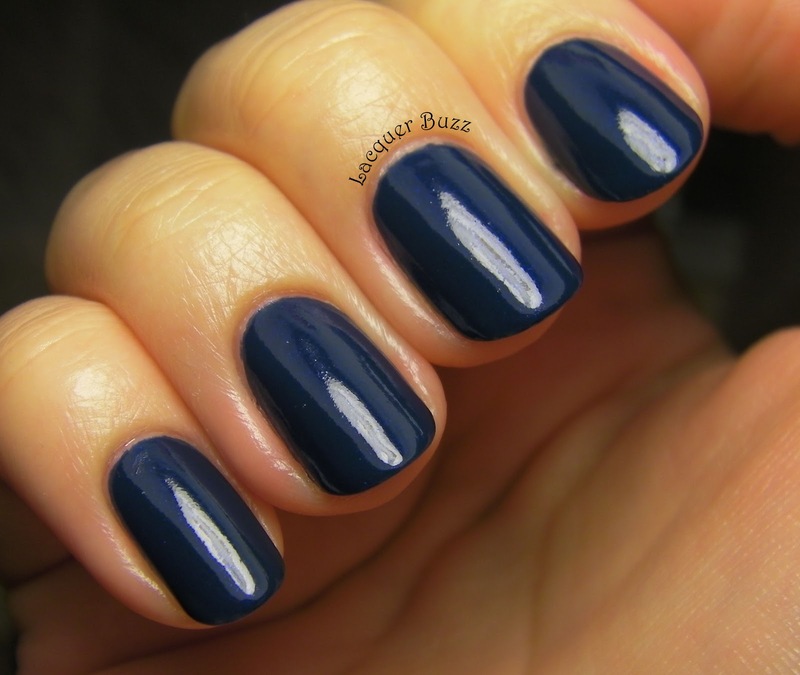 Having been through medical school myself, I admire you can even have time to paint your nails let along write a blog. I work now in clinical laboratory science areas. Good luck with the exams. Thank you Marisa! I really hope they go well! Those pictures are actually in the light box and they do have top coat on. Not sure why but somehow the color made them look really dull. Thank you! It's challenging sometimes but I have more time now that I'm in the last year. I was a lot busier at the beginning (first 3-4 years) but now the schedule is a lot better.